Be yourself they said. Why fit in when you can stand out. For these NCAA schools, they took that message to heart. Rather than coming up with a generic team name, like the Eagles or Rams, these schools took a different approach, coming up with names that are odd, esoteric, and eccentric. So for those of you who wonder what a Geoduck is or why Arkansas Tech calls themselves the Wonder Boys and Golden Suns, this article is for you. 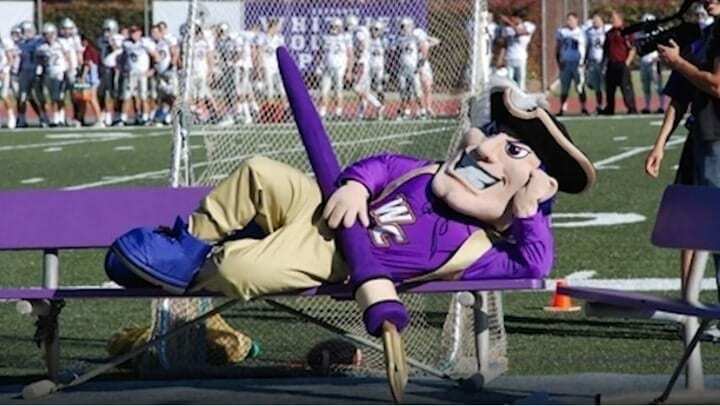 Here’s 30 of the most crazy names, mascots, and logos in college sports. 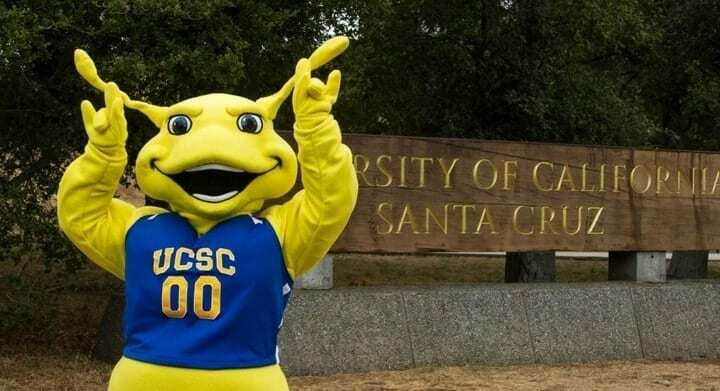 Found in the forests of Santa Cruz, the banana slug may be the slimiest mascot of them all. Originally a tribute to the slugs found in the woods right off the UC-Santa Cruz campus, the slug became a student body favorite and was eventually adopted as the official mascot. Considering the vibe at UCSC — full of tree lovers and modern-day hippies — their mascot is a perfect match. Although this mascot hardly intimidates opponents, this Div. 3 school’s pride for their beloved slug is unmatched. Southeastern Oklahoma State University is most famous for being the alma mater of Dennis Rodman, the notorious rebounder (primarily) for the Pistons and Bulls. However, its current team name and mascot is a confusing mouthful. Originally called the Savages, the school was forced to ditch the offensive nickname and any associated logo back in 2005. At that point, they adopted the name “Savage Storm,” an ode to Oklahoma’s history of turbulent weather. The buffalo aspect of the logo apparently represents the buffalo’s willingness to charge head-on through a thunderstorm. Seems like a good idea. Delta State, double whammy. The Div. 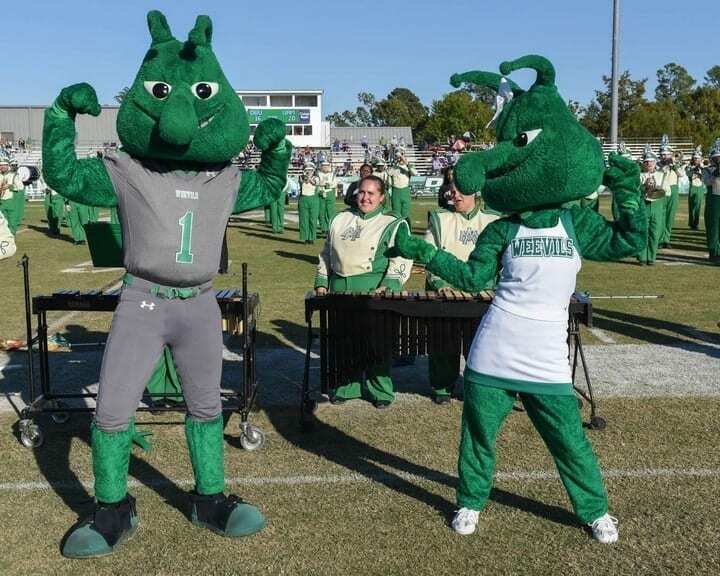 2 school in Mississippi has one official mascot and one unofficial, both of which are interesting and unique. Their official name and mascot is the Statesmen, named in honor of controversial State Representative Walter Sillers, Jr. This polarizing figure did play a key role in establishing Delta State in its current location, thus the school decided to honor the politician with the sports mascot. However, the student body didn’t find the name intimidating enough and, to elevate the status of a favorite local vegetable, created the Fighting Okra. 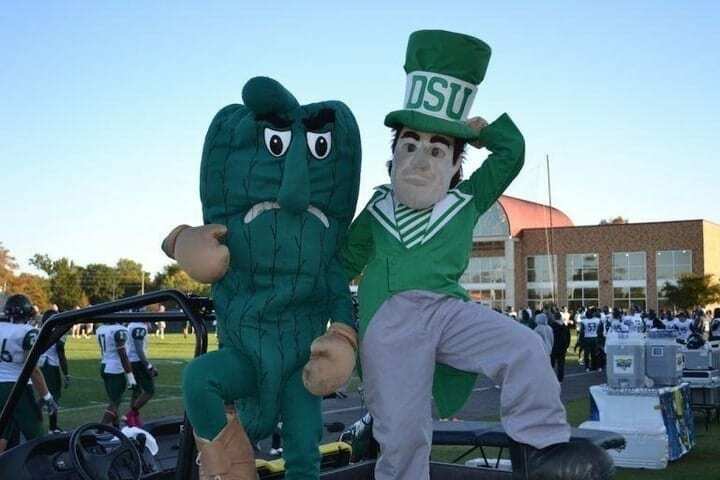 Still not the most fear-inducing mascot, the Fighting Okra is at least comical and less politically charged than the school’s official team name. Another fighting vegetable? Could it be true? Yes. 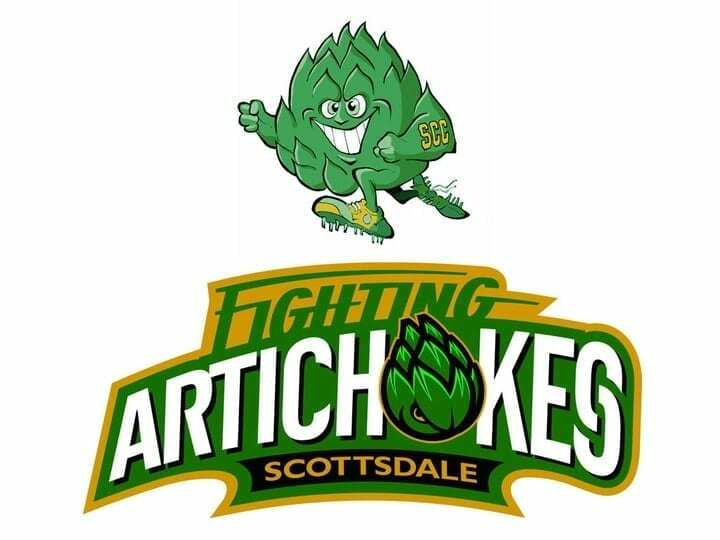 For the Fighting Artichokes of Scottsdale (Ariz.) Community College, nothing gets in the way of their pride for artichokes and artichoke dip. The team name was originally concocted during a time of severe student displeasure and was meant to be an embarrassment towards the institution;. However, the name grew on students and Artie the Artichoke become a beloved figure that embodied the fighting spirit of America’s only public university located on Native American Land. 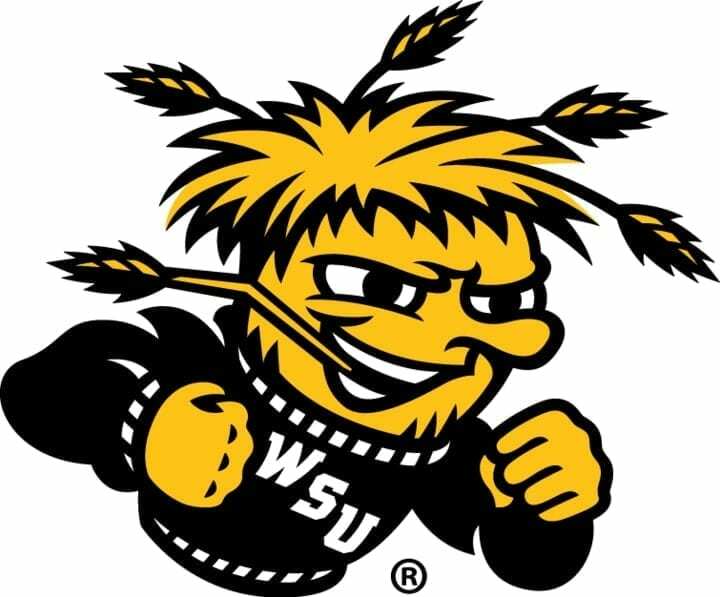 This logo/mascot for Wichita State is downright terrifying, which matches how scary this small school’s basketball program can be come March. Kansas is a state notable for a few things, one of them being its massive wheat fields that span the notoriously flat state. So, to honor Kansas’ favorite grain, the school named themselves the Shockers (for us non-farmers, to shock a field means to harvest). So the name seems acceptable, but what went terribly wrong was the school’s attempt at anthropomorphizing a clump of wheat. What probably started as an honest attempt at giving their school a fierce mascot ended up as one of the creepiest mascots in college. Nothing screams school pride like nicknaming yourself the Dirtbags, especially the baseball team. 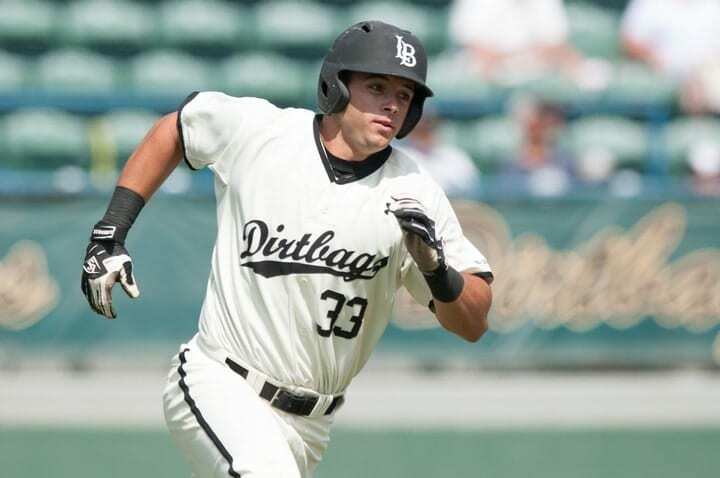 Long Beach State University’s official team name is the 49ers, but for their baseball team, the Dirtbags is more fitting and unique. Quite possibly the only team in college (or the pros) whose team name is self-deprecating, the Dirtbags embody it. They love it and feed off it. The logo isn’t nearly as impressive as the name, which is an absolute thing of beauty. To be able to proudly wear Dirtbag across your chest and perform at a high level is great. Let’s go D-Bags, let’s go! One of the most carnivorous animals known to man, the anteater is as vicious as it is cute. When the University of California at Irvine began, it lacked a mascot and team identity, and the school sought to quickly change that and find something that embodied the uniqueness of their student body. So, after much soul-searching, a few water polo players came up with the anteaters, an animal that isn’t native to Southern California but is very quirky and cute. Thus, one of the most unique mascots in college was born. 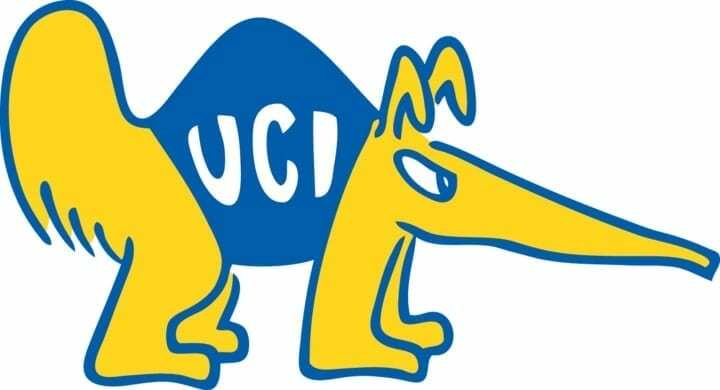 Over the years, the logo and design have progressed and evolved, but one thing remains firmly entrenched in the hearts and minds of the UCI faithful: That Peter the Anteater is the big man on campus. Stetson hats are quite stylish and can make any head look good. 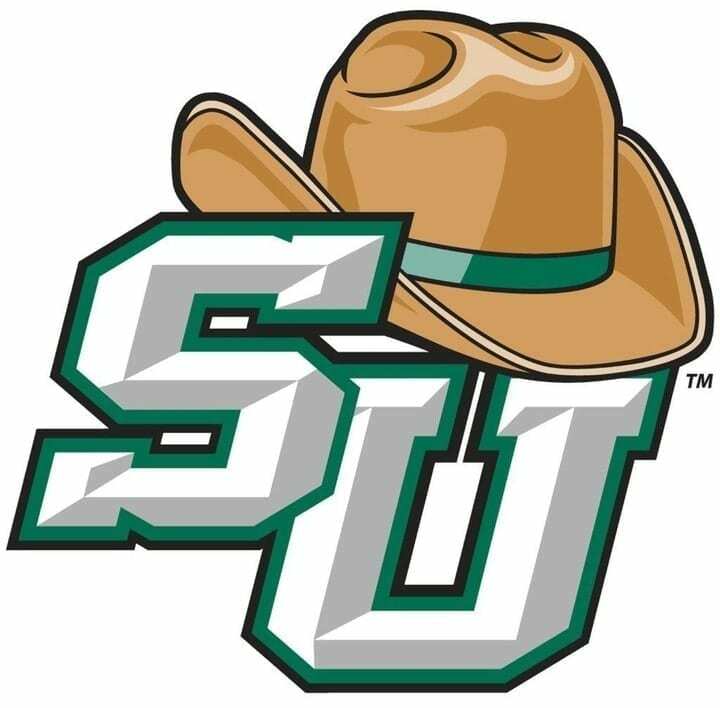 So, when DeLand University changed its name to Stetson University in honor of the legendary hat maker and school benefactor, John Stetson, a fitting nickname was required. Enter the Hatters, a creative way to fully acknowledge Stetson’s impact on the school. The logo isn’t the most intimidating, but what it lacks in intimidation points, it makes up for with an awesome design and the claim to fame as the only school named after a cowboy hat. Lots of schools feature cowboys rocking Stetson-style cowboy hats, but only one school is named after the hat (and hat creator) itself. Pronounced gooey-duck, the geoduck is one of the largest clams in the world and is the proud, non-aggressive, peaceful mascot of the sanctuary that is the Evergreen State University. Speedy, the name given to this massive clam, is one of just two non-insect invertebrate mascots in college sports, the other being the Banana Slug listed before. According to the university, the mascot – native to the Pacific Northwest – is the perfect representation of how the university likes to conduct itself: peacefully and in a flexible manner. Texas A&M International is located in Laredo, Texas, the heart of dust country. It’s flat, hot, and dusty. To honor these attributes, the university decided to call its sports teams the Dust Devils. A dust devil, for those curious, is a small tornado-like natural occurrence. Representing it, one would think, would be with a cyclone style logo/mascot. However, TAMIU didn’t think a cyclone on their jerseys would be good enough and decided to embody the Dust Devils as a sleek looking cowboy face covered by a bandana, presumably filtering out all the dust. The logo is a kangaroo. The name is Zips. Seems like a disconnect, right? Well, yes and no. 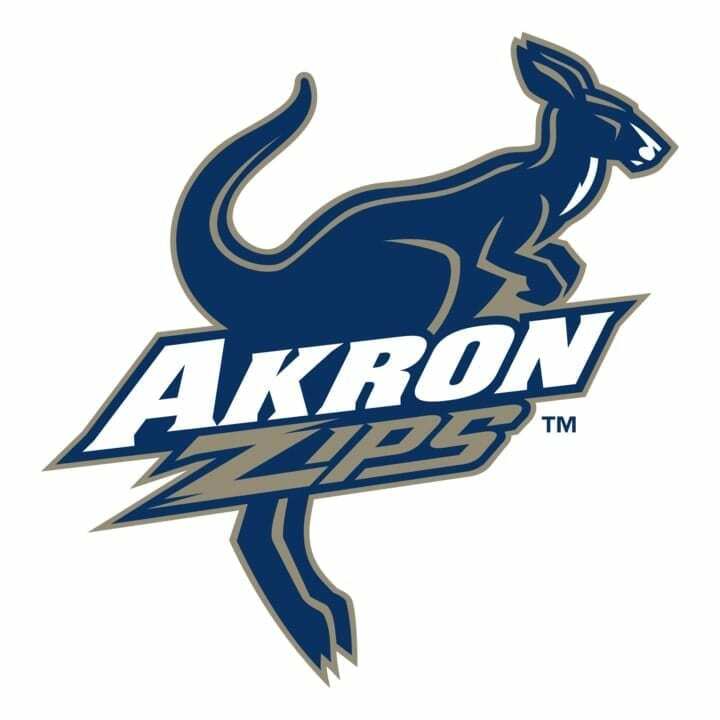 The Akron Zips’ name makes total sense and is an interesting connection to the city the school calls home. The name originated as the Zippers, which was a nod to the large rubber shoes (zippers) B.F. Goodrich – an Akron based rubber and tire manufacturer – produced. Three years following the official name, a student council voted to implement a fighting kangaroo as the school’s mascot. This is the part that doesn’t make sense,but is fun nonetheless. Zippy the Kangaroo is one of only eight female mascots in college sports (not including teams that at “Lady” before their name, such as Huskies and Lady Huskies). No, this name is not offensive. Hose are socks and that is exactly what Presbyterian College, located in Clinton, South Carolina, is trying to honor with their sports teams. A small university located in rural South Carolina with strong Scottish roots, Presbyterian College didn’t take the creative route with their name and opted to go for something a bit more basic. 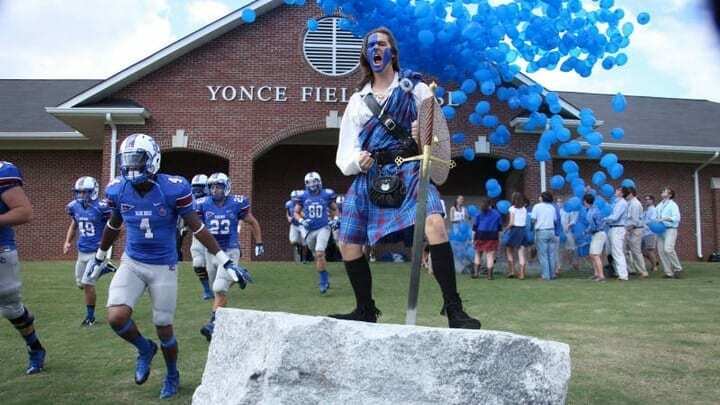 Because of their origins wearing blue, they named themselves the Blue Hose, yet, needing a better mascot than a sock, adopted a Scottish Warrior. Although many teams in sports have been named after socks (Red Sox, White Sox, Reds), the Blue Hose are the only team that sports the word hose in the official name. Dartmouth College started with the team moniker Indians. Like many other institutions with similar names, the college dropped it in favor of something less offensive. They opted with Big Green, a tribute to the college’s dark green color scheme. However, Big Green doesn’t lend itself to much of a mascot, so the student body took matters into their own hands. 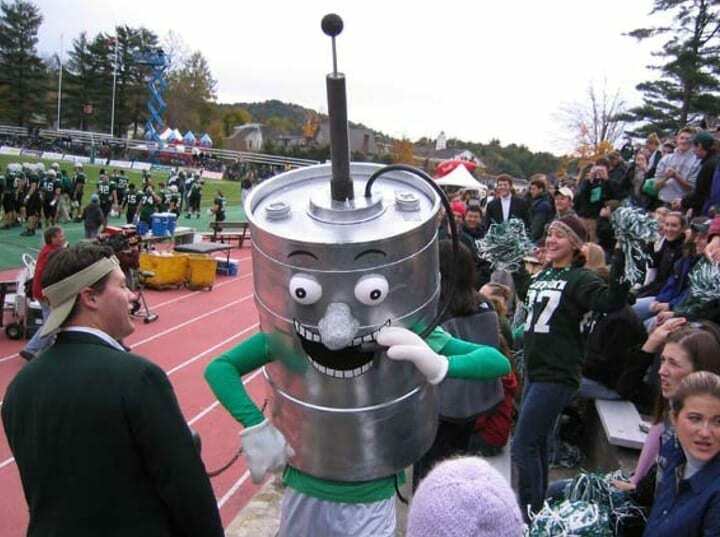 Created in 2003, Keggy the Keg has become a fan-favorite at Dartmouth. Simply put, this mascot is an absurd humanized version of a beer keg. Despite it lacking an official status, the keg has made its presence felt Dartmouth sporting events. Naming your team after a beetle seems rather odd. Naming your team after a specific type of beetle — and not even a well-known beetle at that — is certainly odd. But for Arkansas-Monticello, home of the Boll Weevils, tradition or public opinion didn’t matter. The Boll Weevil is a devastating, non-native species that wreaks havoc on crops in the southern United States. For Arkansas-Monticello, wreaking havoc on the field seemed like a top priority, and honoring that pesky little pest of a beetle seemed like the perfect pairing. A match made in beetle heaven. 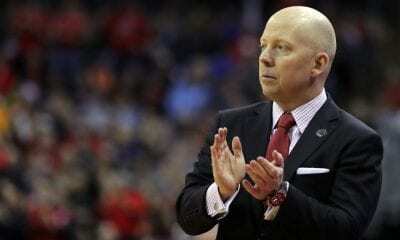 The name has evolved over time, but the University of Louisiana Lafayette struck gold with the Ragin’ Cajuns. When the school began, they called themselves the bulldogs, a name far too generic for the university. 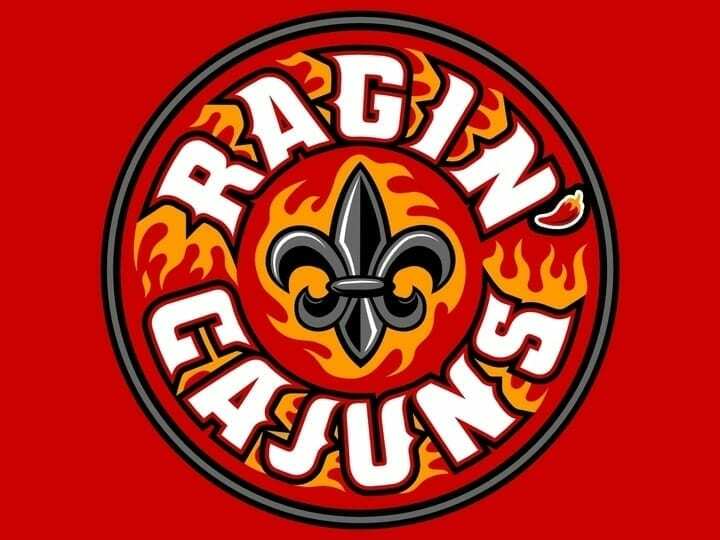 To spice things up a bit, ULL decided to change the team names and mascot to something that truly represented the region, dubbing themselves the Ragin’ Cajuns. To accompany their sweet name is their pepper-head mascot, who is probably as hot on the inside as the outside. Overall, this unique name is perfectly specific for the region it represents and its mascot/logo combination are equal parts funny and awesome. The Stanford Cardinal. That is the team name of Stanford’s athletic teams. Simple enough. But, their logo or mascot isn’t a bird. The cardinal, in this case, is the official shade of red the university has adopted. What’s their logo then? A tree that looks like it needs to be in a mental hospital rather than the forest. 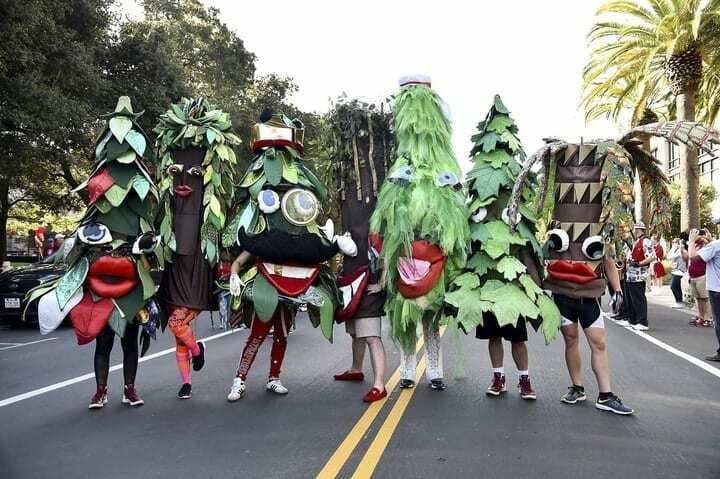 Because of Stanford’s location near redwood forests, the university has unofficially made this googly-eyed tree their mascot. The tree, a redwood, isn’t limited to one crazy outfit. Depending on the game or time of year, the tree adapts its wardrobe and dons an appropriate match. It may be one of the creepiest renditions of a tree in sports, but there’s no denying how instantly recognizable Stanford’s crazy tree is. Despite not receiving an official status from the university, the tree is firmly a part of Stanford lore and tradition. The only team in the NCAA to refer to themselves as the Jackrabbits, South Dakota State University holds this distinction close to its heart. The origins of the name aren’t fully clear, but what we do know is it has been around for a long time. The most popular theory regarding the name came after a local newspaper referred to the players on the team as being quick as jackrabbits. Apparently, that stuck and the name was born. Fully adorned with a blue and yellow color scheme, the logo has evolved over time, but the characterized version we’ve become familiar with today made its first appearance at some point in the 1940s. Today, the Jackrabbits make up an integral part of the Summit League along with some other unique teams, like Purdue Fort Wayne Mastodons. Another two-in-one on this list, Arkansas Tech University has two distinct names for its men’s and women’s teams. 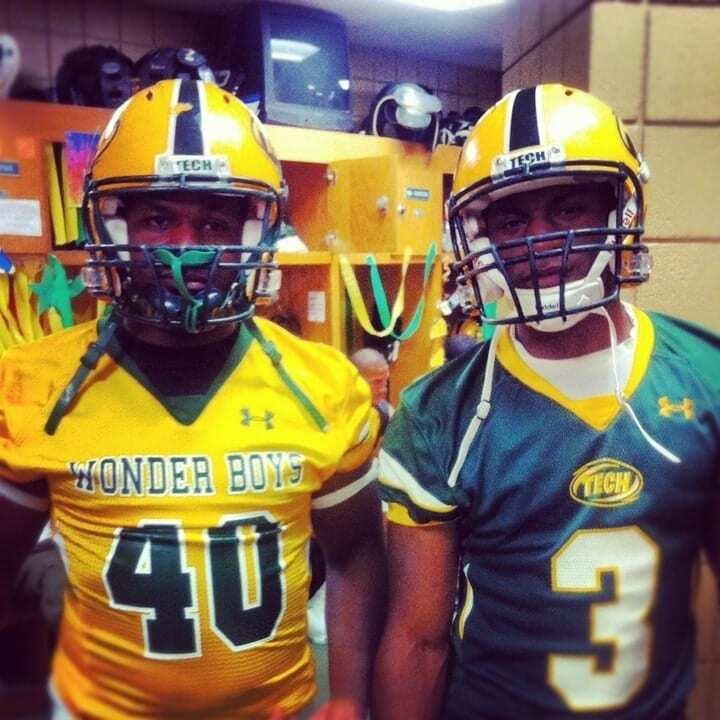 On the men’s side are the Wonder Boys, a named derived from a newspaper article describing how John Tucker, a 17-year-old freshman, scored two touchdowns and extra points in a big upset over a rival school. The paper dubbed the team the Wonder Boys and the name has stuck ever since. Obviously, this name wouldn’t work for the ladies, so, in 1975, the women’s teams elected to become the Golden Suns. Each name unique and not found elsewhere in college sports. Sadly, with all of the potentially great options for a Wonder Boy logo, the team opted to simply have Tech or an interlocking A and T on their helmets/jerseys. Their nickname is the Leathernecks. Their mascot is a bulldog. An alternate symbol of theirs is a globe and anchor. But we’re not talking about the United States Marine Corps, and we’re not talking about the United States Naval Academy. 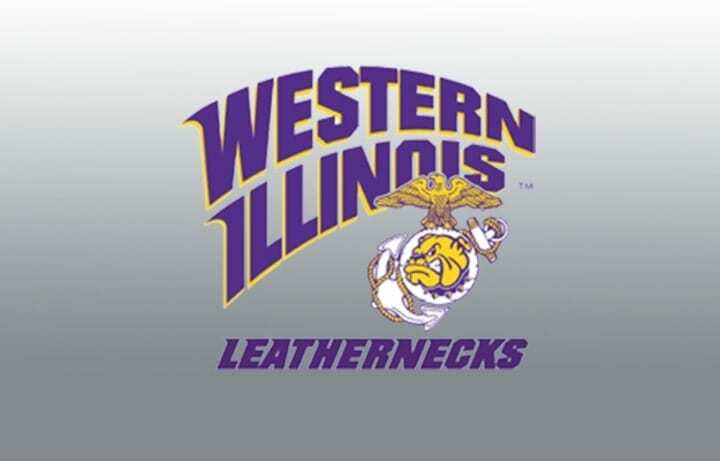 We’re talking about Western Illinois University, the only non-military school in the United States to have its nickname derived from a military institution or service academy. Thanks to Ray Hanson, a former Marine Colonel and athletic director/coach at Western Illinois, the university was given permission to use the names and symbols of the Marines. Today, the Leathernecks are the only school in the nation with that nickname and, although there are zero official ties to the military, the pride they display towards the Marines is omnipresent. Nothing strikes fear into your opponent like calling your teams the Hilltoppers. What are we going to do? Top the hill! When are we going to do it? Right now! Maybe not the official battle cry of Western Kentucky University, but something plausible for sure. The origins of the bland nickname come from WKU being located primarily on a hill. Some creative minds got together and decided that this geographic prominence deserved more recognition and the team became the Hilltoppers. 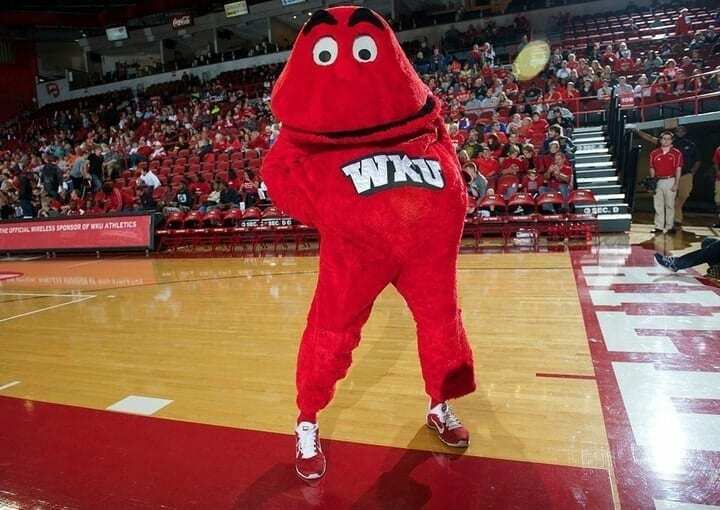 Yet, making a mascot from this would be rather challenging, so the university decided to create a genderless, furry blob known as Big Red. Completely strange and random, Big Red has taken the nation by storm, becoming one of the most loveable mascots in college. Teams from Mississippi sure do take pride in being from the Delta. 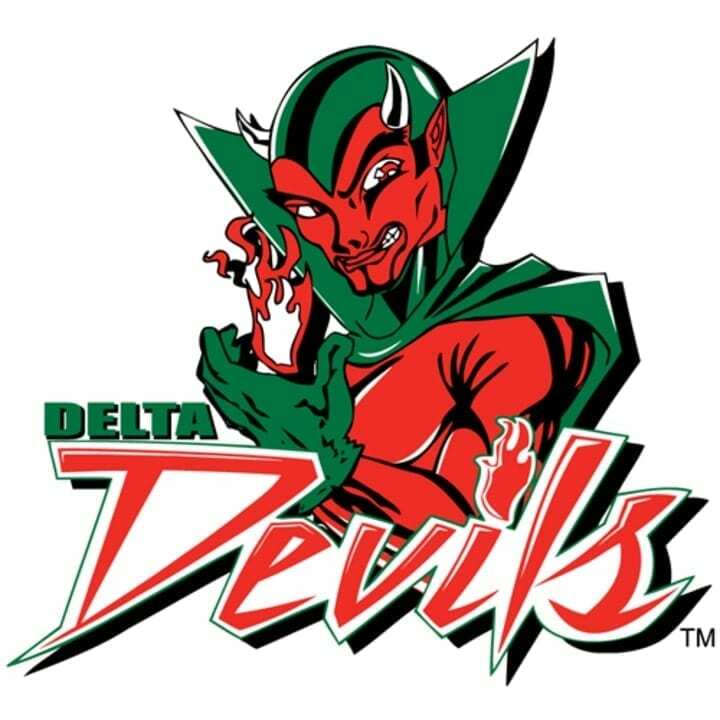 We saw it earlier with Delta State, whose name literally is taken from the geographic feature, and we see it here with Mississippi Valley State University, the Delta Devils. The alma mater of Jerry Rice, not much information can be found on the history of the name or logo. But, some assumptions can be made. First, the nickname devils is prominent in college sports (Duke Blue Devils, Arizona State Sun Devils) and always seems like a safe bet for teams. Second, being a state so proud of being in a delta, it only makes sense that they’d find a way to incorporate it into their name. The logo and mascot is overly complex — filled with intricate details — and their mascot will most likely scare any fans in attendance. Double entendre alert right here! Whittier College, located in Whittier, California, is aptly named after Quaker poet John Greenleaf Whittier. So, to boil it down for the masses, a Quaker poet had a town named after him, then a local university followed suit. Fittingly, the team nicknamed their sports after their namesake’s profession: the Poets. What makes this name doubly great is that they are not any ordinary poet, they are wittier poets. They are the most cunning of all the poets in college sports. They are the Whittier Poets. 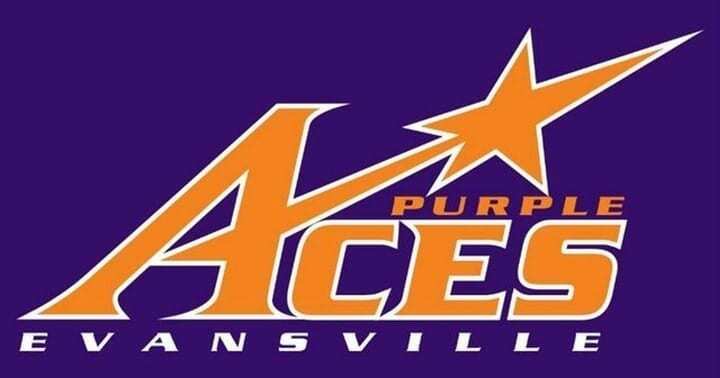 The University of Evansville Purple Aces are another standalone in the naming department. There isn’t another Purple Ace to be found across the land. 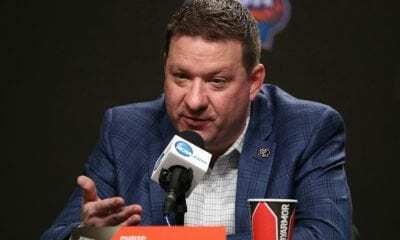 Originally, the team was called the Pioneers, but after a major upset over Louisville, a coach remarked that the team had five aces up their sleeve. With their colors already being purple, the Aces became a natural fit. Their original mascot was designed to replicate the riverboat gamblers found on the shores outside of Evansville, but was deemed too creepy and underwent a total overhaul, making it more friendly and innocuous. One of the more classic teams on this list, the Syracuse Orange’s name is as classic as it’s unique. And if you’re wondering, no, oranges aren’t native to upstate New York. 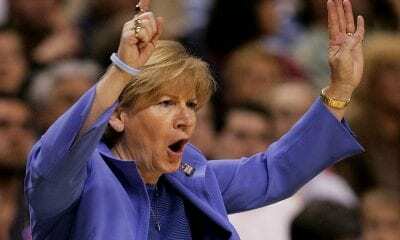 Originally, Syracuse went by Orangemen (and Orangewomen), in reference to the school’s colors, but dropped the gender-specific portions of the nickname in 2004. The school also had a mascot called the Saltine Warrior, a reference to the salt deposits found in upstate New York. That mascot name was dropped in the late 1970s because of insensitivity toward Native Americans, in favor of a Roman gladiator, who was mostly hated by the student body. 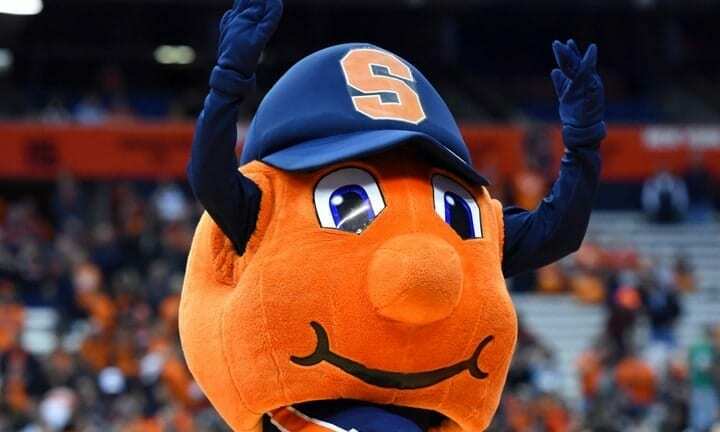 Eventually, the university settled on Otto the Orange, a androgynous figure depicting an orange. Otto has evolved over the years, becoming more fan-friendly in the process. It is a highly loveable creature that is often voted as one of the best mascots in sports. The Colorado School of Mines should be renamed the Colorado School of Minds because of how smart their student body is. Being an engineering school, named after mines, one would imagine the students are comfortable digging up some dirt. To honor this, the team named their strictly average sports teams the Orediggers. 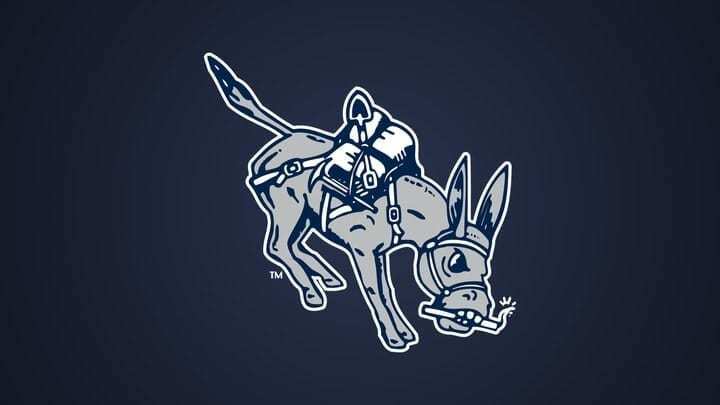 But, a school so highly touted for their engineering skills severely lacks in their creativity department, and the result of this was a poorly drawn donkey with a stick of dynamite in his/her mouth as the logo. Here’s to hoping the donkey knew how to operate TNT. 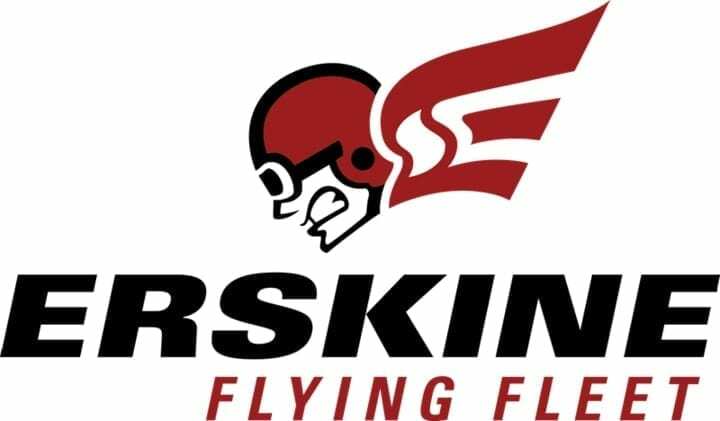 Erskine College nailed it with this unique name and logo, and they can proudly say they are the only ones in the country that bear the nickname Flying Fleet. Located in Due West, South Carolina, the team, despite its nickname and location of Due West, has no aviation ties. The origins of the name came after a local newspaper reporter, who was impressed by the football team’s impressive aerial attack, called them the Flying Fleet. The name stuck and now the school, although not sporting a football team, still goes by the moniker. 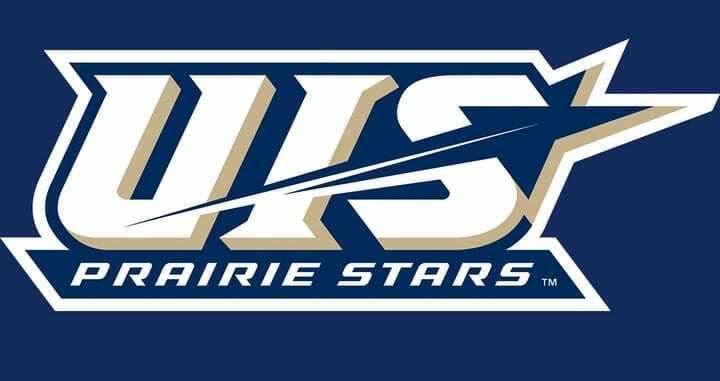 And your 2018 winner of the least intimidating team name goes to the University of Illinois at Springfield, home of the Prairie Stars. Just imagine lying on your back in the prairie, gazing at the Milky Way. Now take that image and put it on your chest. Rep it hard. The team underwent a complete rebranding in 2014 but elected to keep the name Prairie Stars- an issue that was hotly contested for a bit. Their new logo is, definitively, as underwhelming as their name. Javelinas are wild pigs found in the southwestern portions of the United States. For Texas A&M University Kingsville, Javelinas was the perfect name for an animal that’s natural habitat was just beyond the green grass of A&M’s campus. 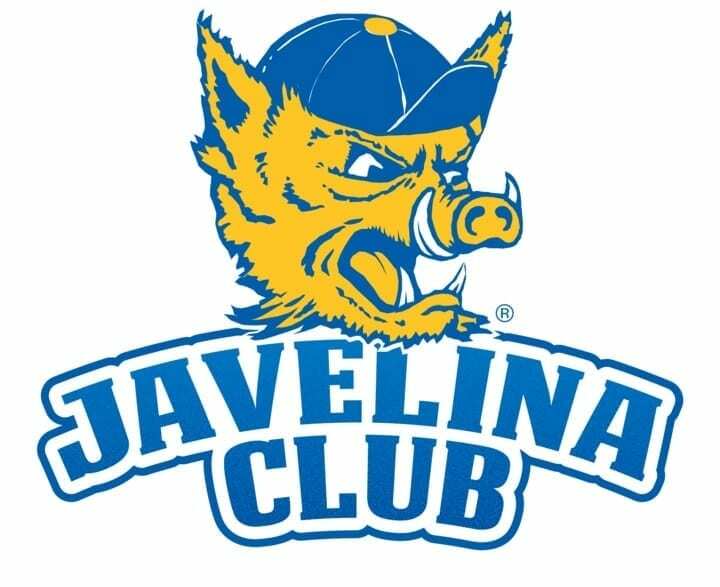 Apparently back in 1926, a university professor and animal trainer trained local javelinas to act as the mascot for the football team. Fans were enthralled with the ferocious pigs running around and the rest is history. Fear the bod! Washburn College — originally called Lincoln College — located in Topeka, Kansas, got its name from Ichabod Washburn, a benefactor of the college back in the 1800s. Ichabod Washburn was an abolitionist and industrialist from Massachusetts who pledged a large sum of money to the university, although he never set foot on his namesake campus. 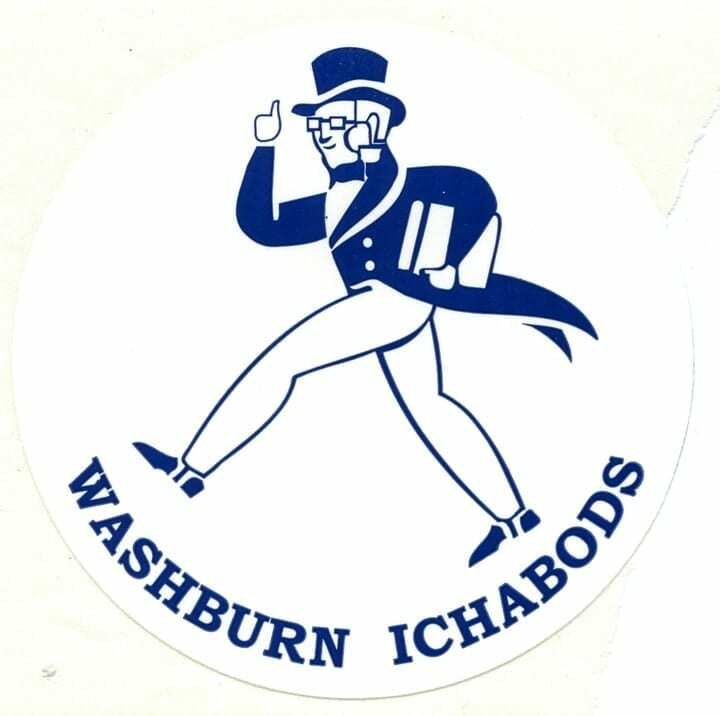 The teams, in honor of their benefactor, decided to call themselves the Ichabods, the only team in the nation to sport the name. They’ve had a pretty cool logo evolution that still represents the scholarly looking Ichabod. The only college or university that participates in NCAA sports outside of America is Simon Fraser University, located in Vancouver, Canada. 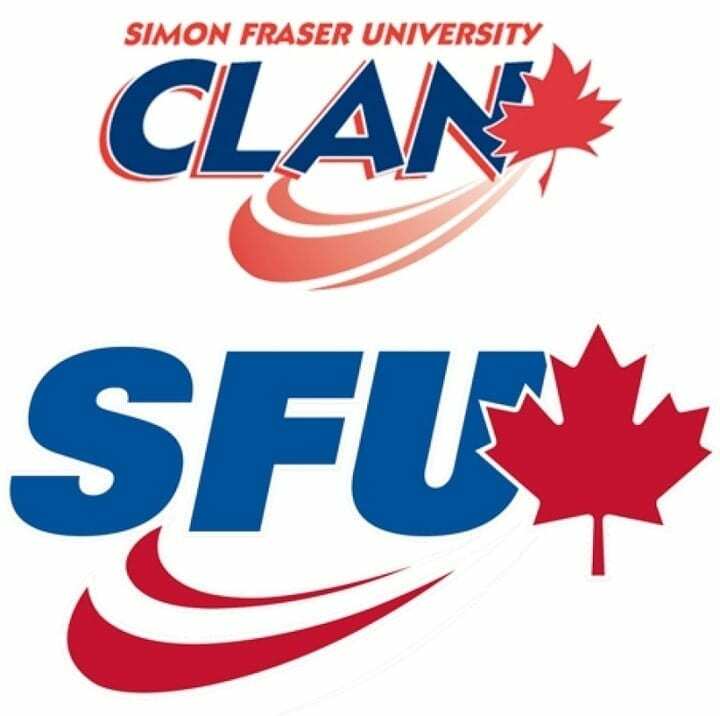 Named after Simon Fraser, an explorer and fur trader of Scottish descent who charted much of western Canada, the university elected to name its sports teams the Clan, in reference to the clans that make up Scotland. The mascot is a Scottish Terrier but the name Clan, although often confused with a different type of clan, remains a part of the school.